Hunger is a powerful motivator. When human beings get hungry enough, they will do almost anything to acquire food. What if we were that hungry for God? 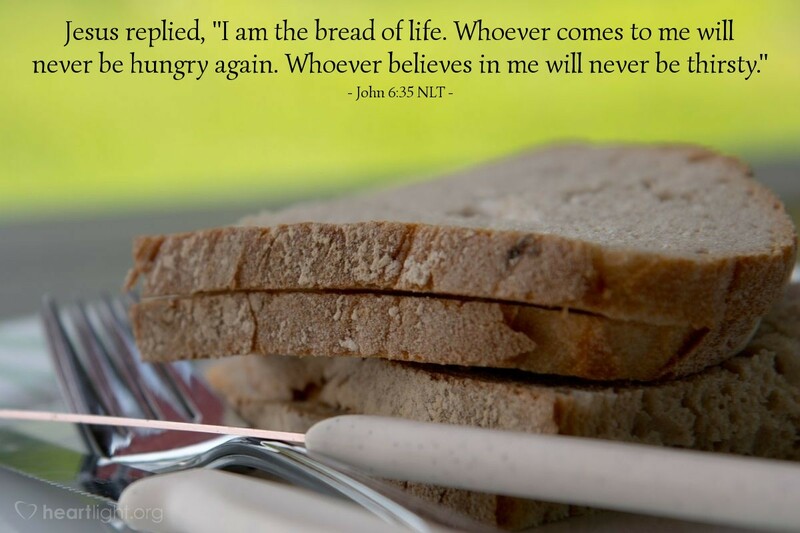 What if we were that hungry for God's bread, his Son Jesus? While we have learned to recognize our physical hunger, so many today cannot identify that empty spot in their souls and the ache in their hearts as hunger for God. Only God, through his Son Jesus, can truly fill this empty spot and relieve that ache. Jesus is the one who quenches our spiritual thirst and satisfies our spiritual hunger. Come to him. Listen to him. Let his words and his love give you life! Quench my thirsty soul, O God, and satisfy my spiritual hunger. I have tried to fill the void with diversions and trifles that do not satisfy. Father, only Jesus can fill this empty spot in my soul. Only your Son can sustain me through the challenging days I face. I believe in you, Lord Jesus. I praise you. Amen.